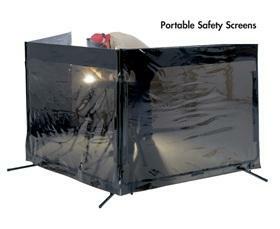 Excellent barrier protection for welding, grinding, cutting or many other manufacturing operations. 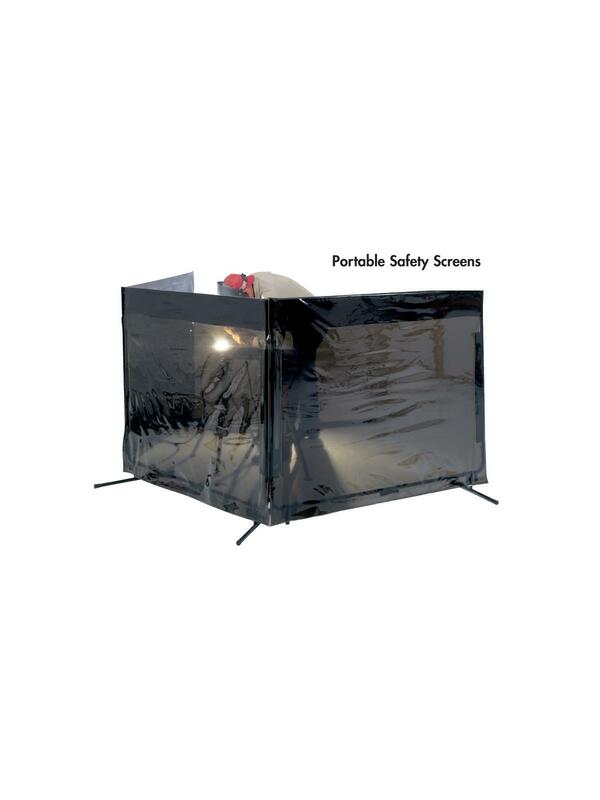 These Portable Safety Screens can be used as single panel screens or joined together to form multi-panel enclosures. Modern one-piece curtain slides easily over the sturdy 1" round tubular 19 ga. steel frame. Supplied with platform legs. Extended edge of each single panel curtain creates an over-lap with adjoining curtain for total protection. Available in your choice of three materials. Other materials available for high temp applications, call for details. FOB Shipping Point. 30 mil. Olive Drab Duck - Provides safe, sure protection from arc welding spark and rays. Resists heat, flame and moisture. Vinyl Coated Fabric - Delivers exceptional protection from arc welding rays. Resists moisture, oil and grease. Available in Yellow, White, Gray, Black, Green, Blue and Red. Transparent Vinyl - Ensures two-way visibility for extra safety. Filters more than 80% of harmful rays. Available in Smoke Gray, Orange, Blue, Yellow and Green. See Related Items tab for Add-A-Panel Clips for Portable Safety Screens.